For over 30 years, Installation Management Services has been the One Source for all of your office furniture needs. Although we are based in Central New Jersey and perform the majority of our work in New York , New Jersey and Eastern Pennsylvania, we have done many jobs throughout the United States and even the Caribbean! 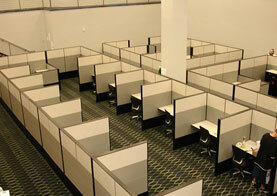 We can be very competitive in out-of-area installations of 20 workstations and larger. Specializing in office furniture installation and design.. we have worked for and with the best office furniture dealers, architects, designers, facility managers, project managers as well as both small company and large Fortune 500 company end users. We have also done our share of installation work for both State & Federal Government agencies ……..as well as every branch of the Armed Forces. 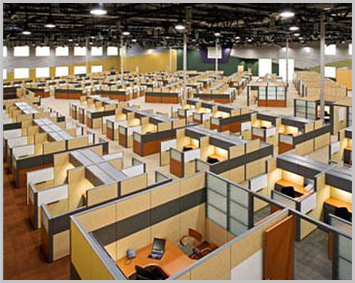 Whether you call them Cubicles, Cubbies, Workstations, Systems furniture, Modular furniture, Partitions, etc.. we can warehouse, design, deliver, install, reconfigure and/or relocate it for you!